As soon as you have accepted our quote and we have received the deposit, it is then time to begin the system design for your solar system! Here, we will bring you a rough idea of exactly how we design a solar system for you. Depending on whether you want grid-connection or not, the system design can either be grid-connected or off-grid. The flow diagram above gives you an idea of the process involved in designing and setting up the solar system. 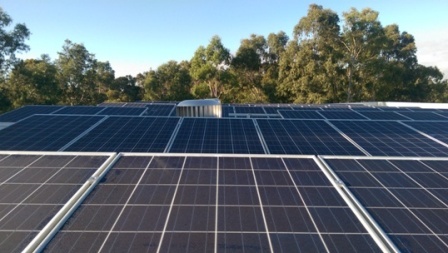 The PV modules are set up on the roof in a nicely set array. The no-load isolator is then installed, along with the main switch for the DC array. 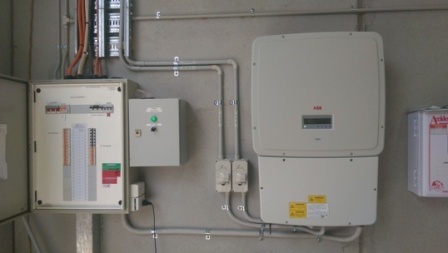 Importantly, the solar inverter is then connected to the PV array. The rest of the system then involves the AC isolator, the main switch for the solar supply, along with the meter, which measures your solar power usage. ch of the modules are connected in series, any shading on one module will then be transferred to the next module and vice versa. The system is programmed to only supply the inverter with the lowest generated current. If the cell is shaded, no current will be generated, hence that current value of 0 amperes will then be passed in to the inverter. You can learn more about basics of how solar works for both a grid-connected or an off-grid situation.